My preferences are not important. Just look at what I've read, note what's lacking, and tell me to read it posthaste. A young person’s introduction to a Shakespearean comedy induces a common knee-jerk evaluation: the elaborate skein of misguided affections hurled to vertiginous heights leaves one with an impression of some contrived pretense of life. As modicums of experience come to such a young person, they find themselves in situations that leave them smiling at the likeness their circumstances bear to the most farcical of fictions. 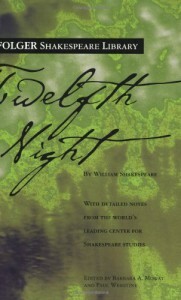 Until one witnesses or experiences such a confluence of hilarious and heartbreaking events, one might well take Shakespeare’s comedies as throwaway confections; Shakespeare’s own alternative title, What You Will, understandably leads one to think that the author thought very little of the play himself. I rather think that this flippant attitude does not evince a cavalier evaluation of his play’s quality, but rather the cavalier attitude Aphrodite and her son Cupid take with all of us. How often has real life taken on the form of What You Will? How often has a circle of friends, family, casual acquaintances and complete strangers found themselves all in love with the wrong person, only to find themselves with someone that they would never have expected? Love is rarely a puritan on the straight and narrow, and finds many of us by the most tortuous path. 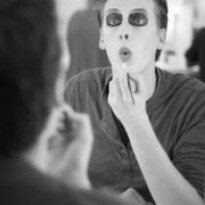 The ridiculousness of love is the subject matter of Twelfth Night, and though many of the characters all end conveniently in wedlock by the end, the true quality of the play lies in the complete picture filled out by the supporting players. The romance between Toby and Maria offers a more straightforward, but sweet and endearing love story to counterbalance the acrobatics of plot in which the six major characters are all embroiled. There is a sad grace not offered up by the befuddled Andrew Aguecheek who was once beloved and seeks to be again though we never see his desire fulfilled. Perhaps most heartbreaking of all is the fate suffered by Malvolio. True he is an arrogant blowhard, but we have no reason to doubt that the love that infects him is no less sincere than that which strikes all the other more likeable characters. There is much laughter to be had very deservedly at his expense, but when he comes before Olivia towards the end of the play, having suffered some truly vindictive torments at the hands of Feste, Toby, Andrew, and Maria, he cuts a truly pitiable figure, and when he takes his leave of Olivia’s house, we can see a little more of ourselves in him than we may be comfortable admitting. Throw it all together, and you get a work of drama that is befuddling in its twists and turns, but by no means as contrived as we might believe at first. The collective character arcs provide nice neat little denouements for some, but for others love still lies on a road yet to be traveled. This bittersweet comedy stands just as tall in its insight into the human condition as any of Shakespeare’s more conspicuously lauded tragedies, and it is a comfort and a joy to any whom love has bedazzled or bedeviled.